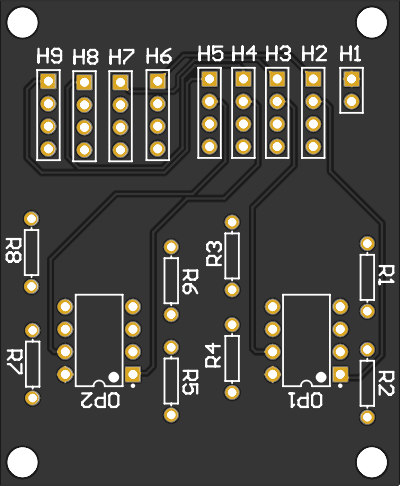 The purpose of this board is to solve the mismatch between the encoder logic levels and what the motor controller expects as encoder inputs. The absolute encoder outputs a signal from 0-5V based on the position of the encoder shaft, but the motor controllers expect in a signal that is 0-2V. To make this transformation, we will create a linear voltage divider. 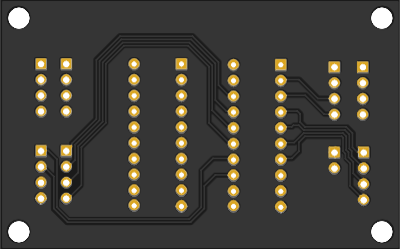 This board is made to handle the mismatch between the digital logic voltage level of the Raspberry Pi and the LED matrix. 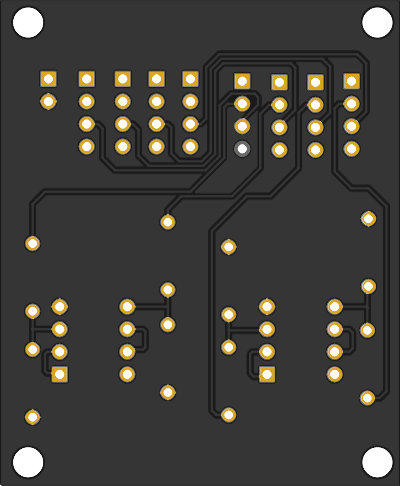 Digital logic is typically at either 3.3V or 5V. 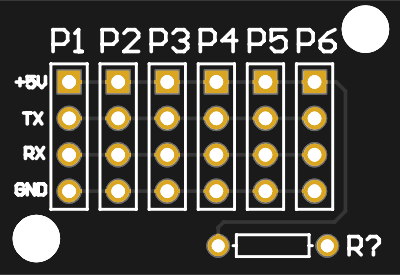 The GPIO pins on the Raspberry Pi will output at the 3.3V logic, and the LED matrix is made to read at 5V digital logic levels. 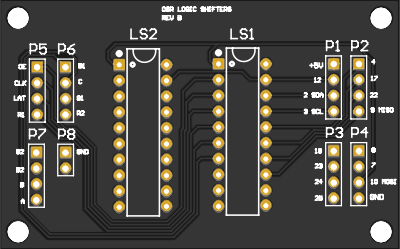 In order to have these signals make sense to each other we use a device called a logic shifter, which will take the 3.3V signals and turn them into 5V signals. 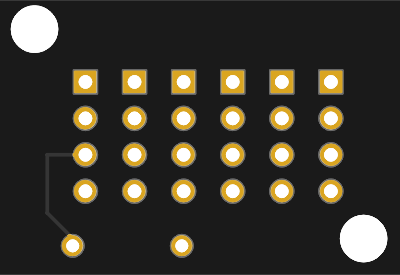 This board is to pass the serial read and write lines, as well as +5V/GND from the Raspberry Pi to each of the motor controllers without having to solder wires to split each of these individually.